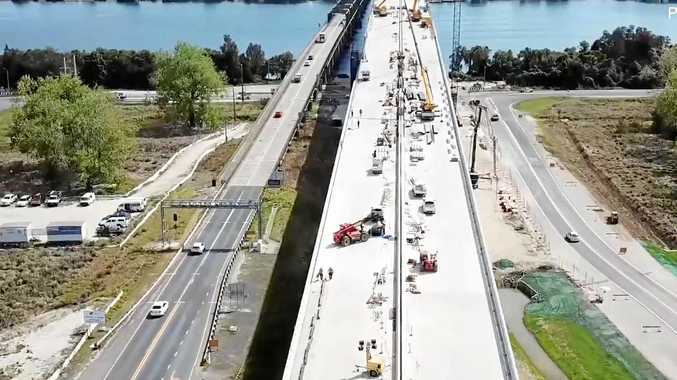 THE completion date for the full upgrade of the Pacific Highway from Woolgoolga to Ballina gets closer, and the RMS have released new footage of all the work that's going on along the route. After a site for a new asphalt plant for the completion of the highway was announced, take a look at what's been going on behind the scenes, and up in the air as the flyovers take you for a look at work near Shark Creek, the Harwood Bridge, Iluka turnoff, and the huge bridge being created to cross the river at Broadwater. The highway is expected to open to traffic in 2020.